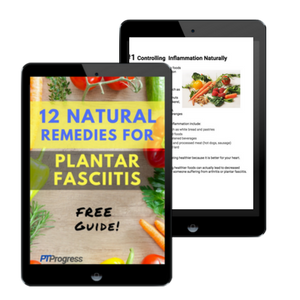 How do you know if you have plantar fasciitis? As a Physical Therapist, I’ve treated patients who have all the classic signs and symptoms of plantar fasciitis. The most common sign of plantar fasciitis is heel pain with first steps in the morning. Here are the 9 plantar fasciitis signs and symptoms you may experience. Waking up in the morning and having pain with your first steps is one of the classic signs of plantar fasciitis. This can be especially irritating if your feet are pointing downward as you sleep, causing the calf muscle to shorten slightly. That small pull on the base of your heel where the plantar fascia inserts and can lead to big pain when you take a step first thing in the morning. If you notice yourself shifting your body to one side to avoid a putting pressure on your foot or heel, it may be a sign of plantar fasciitis. One of the symptoms of plantar fasciitis can be swelling in the arch, heel or foot. The ‘itis’ in plantar fasciitis means inflammation of the plantar fascia. Inflammation may cause the body to respond with swelling, so it’s not uncommon to see this as a key symptom. Heel pain in the morning isn’t the only time plantar fasciitis strikes. Many of my patients experience heel pain after prolonged rest. Some even have difficulty sitting for more than 30 minutes without experiencing increased foot pain upon standing. In many cases, the foot or heel pain may decrease slightly once you start moving around. This movement applies a mild stretch of the calf and plantar surface of your foot. All the more reason to keep moving and to implement an appropriate treatment plan for plantar fasciitis. Your body will try to avoid putting your full weight onto the heel of your foot, causing you to limp or shift your weight when walking. A walking analysis by a Physical Therapist is helpful to identify these small changes in your walking pattern and to focus on strengthening the muscles that are being neglected due to limping. One of the most common ways to avoid heel pain is to avoid walking on your heels altogether. The problem with walking on your toes to avoid putting pressure on your heel is that you further tighten the calf muscle, which pulls on the heel and plantar fascia. Exercise or activity that results in added pain, tightness, or sharpness along the arch or heel of your foot may be a sign of plantar fasciitis. Modifying the time and intensity of these activities may be the first step to avoiding further irritation to the foot. Your physical therapist may also recommend shoe inserts for plantar fasciitis. Some people have a high pain threshold or wouldn’t describe their foot as being painful. They may describe the heel as being tender or irritated with activities. 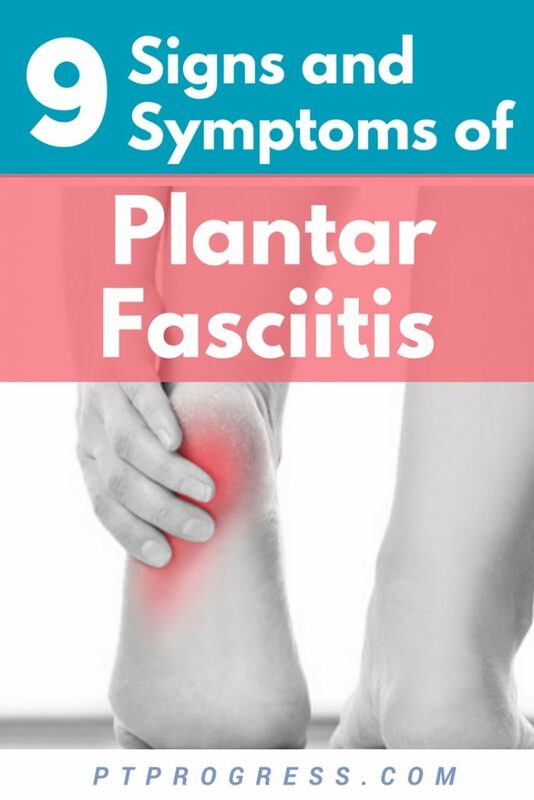 In any case of suspected plantar fasciitis, it’s good to discuss the signs and symptoms with your physician or physical therapist. They can perform special tests to see if you have plantar fasciitis or to rule out any other possible diagnosis. I’ve been having some heel pain lately, and I’m not sure why. I noticed in your article that shoe inserts might be recommended to help fix this. What type of inserts would you suggest to be the best to help this?